Now and then, we want to escape reality. When life’s routines and negative energy weigh us down, we need reminders that kindness, creativity and truly unexpected marvels remain in the world. Rather than a spa visit or day on the couch, some find a week in the desert to be the solution. 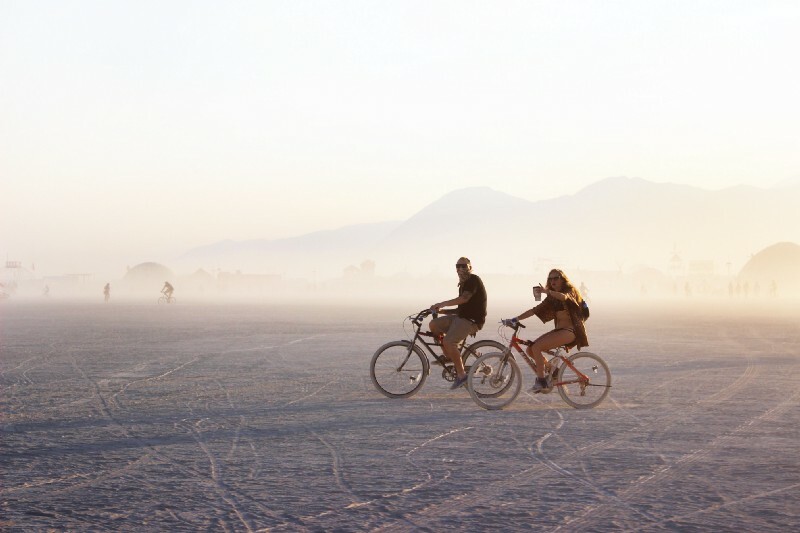 This is Burning Man: a global community of overwhelming sights, sounds, and truly serendipitous discovery. 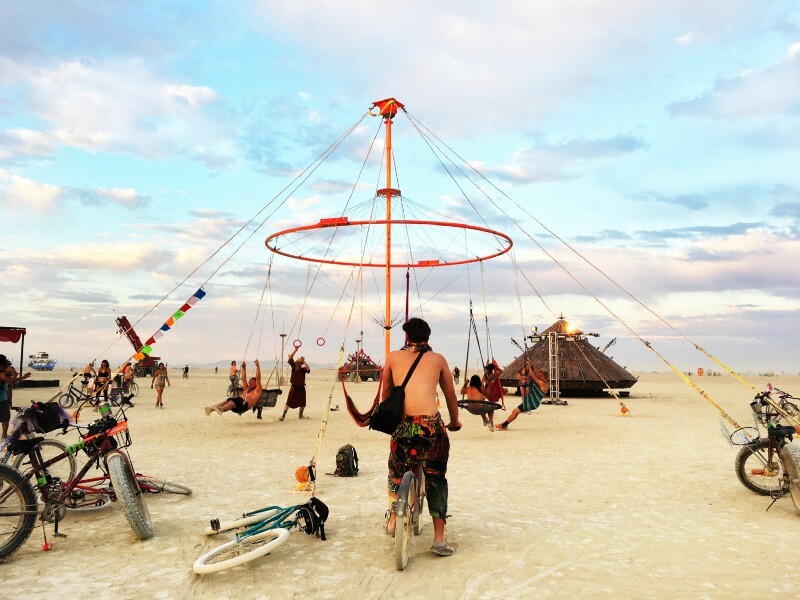 At the center of Nevada’s Black Rock Desert, the temporary metropolis, houses thousands of participants known as “Burners”. 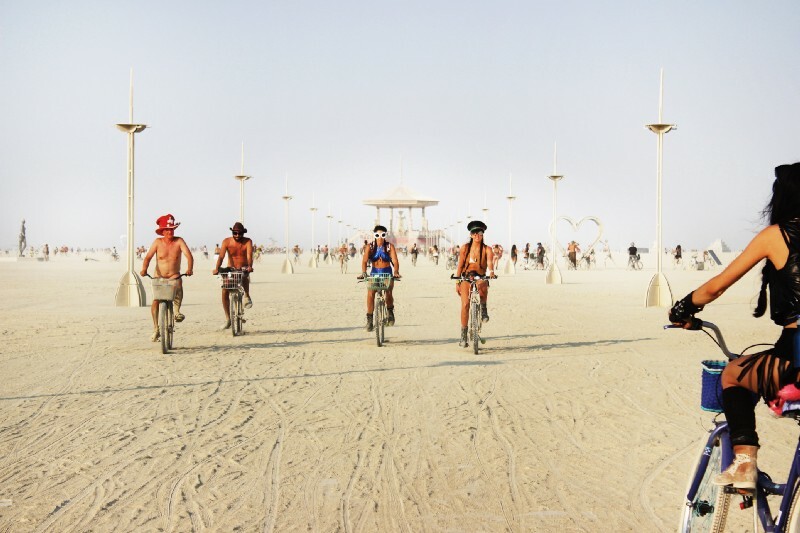 These curious folks roam the dry dusty plain, known as the playa, by foot, bike, and imaginative art cars. 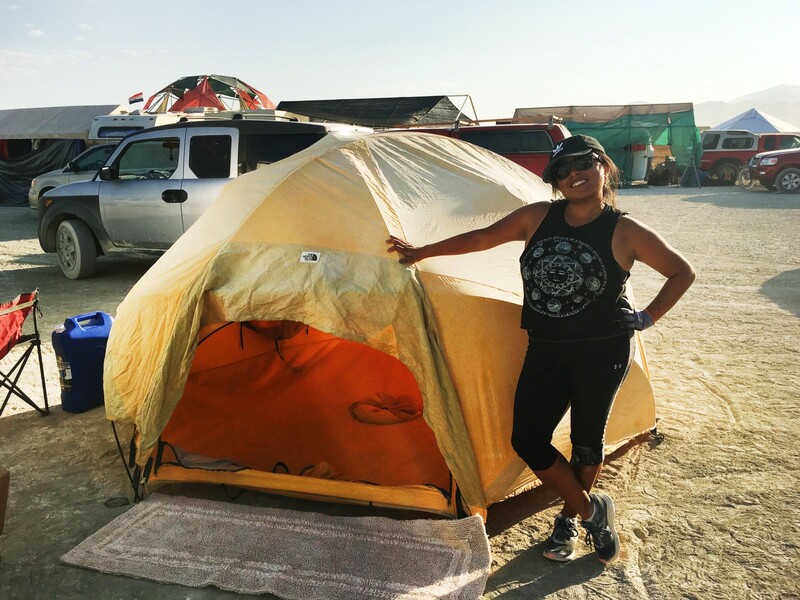 With a second year crossed off, I get the same questions about Burning Man: “How could you give up showering for a week?” “How do you prepare?” and “What’s the point?” I may not have all the answers (yes, I bathe while I’m there), but I can describe some of my experience. 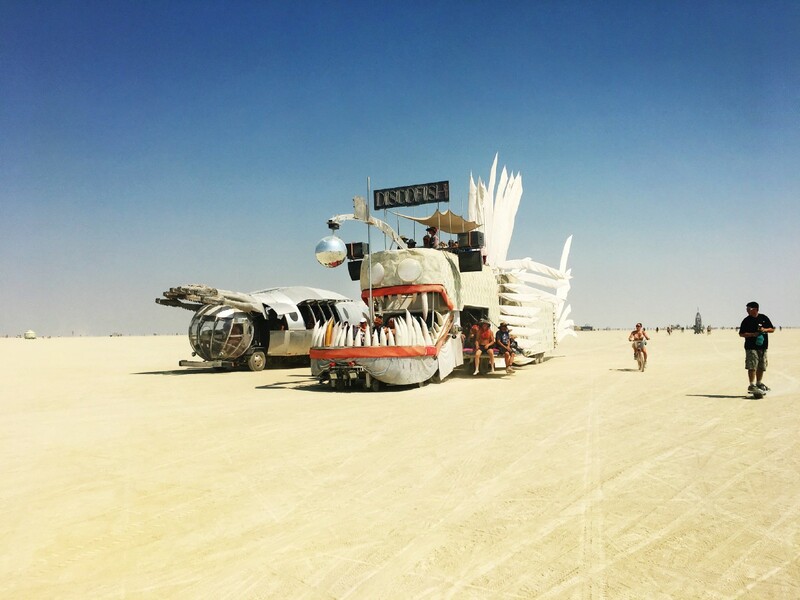 While I’m still recovering after a month back in the real world, here’s what I took away from Burning Man 2017. Before the trip I wanted to focus on decking my bike in lights and getting outfits together. But preparing the essentials that didn’t involve glitter and decoration had to be my top priority. These necessities included: non-perishable food, tools, a tent, and water. You can usually find ways to survive out in the desert without most of these, but the last one is vital. 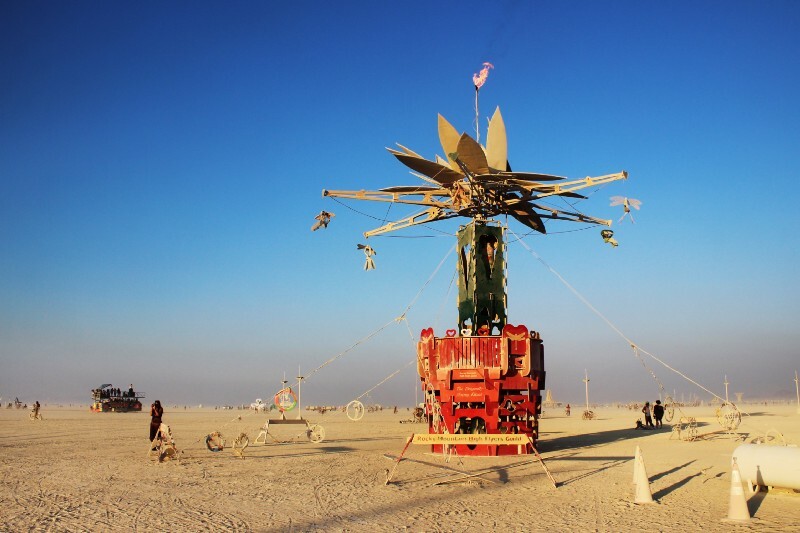 Mentally and emotionally it can be challenging to prepare for Burning Man. You’ll see absolute ridiculousness: Shirtcockers, Sparkle Ponies (check glossary link below), etc. But for playa virgins, I promise there are really inspiring scenes to witness. These sights forced me to think larger and perceive more vibrantly as an artist and a human being. And no matter how much time you put into preparing, know some aspects you can’t plan for. You’re going to figure these mysteries out on your own. 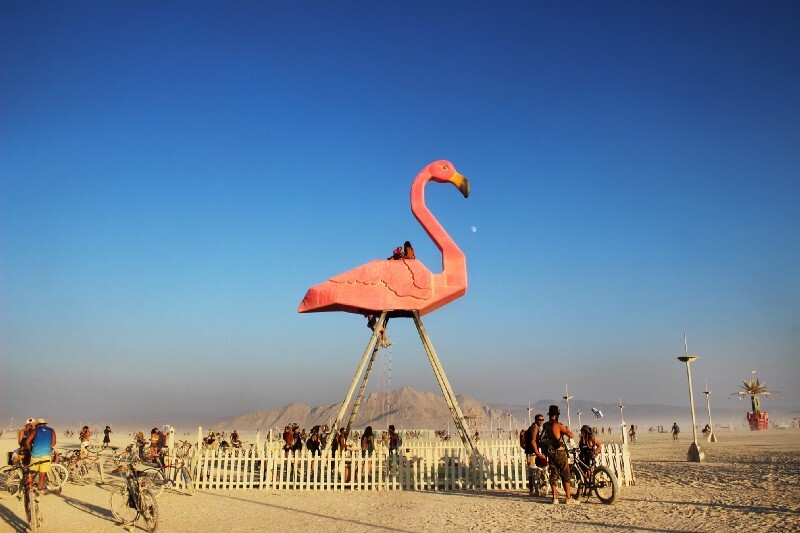 The best way to connect with people at Burning Man is usually over drinks and embarrassing stories. At Camp “Oh No You Didn’t”, the confessional bar, people could do just that. This whole process wasn’t about exposing people’s escapades with drugs or hookups gone wrong, but all about connecting with another person, even if you’ll never see them again. Some aren’t comfortable with sharing and that’s okay. 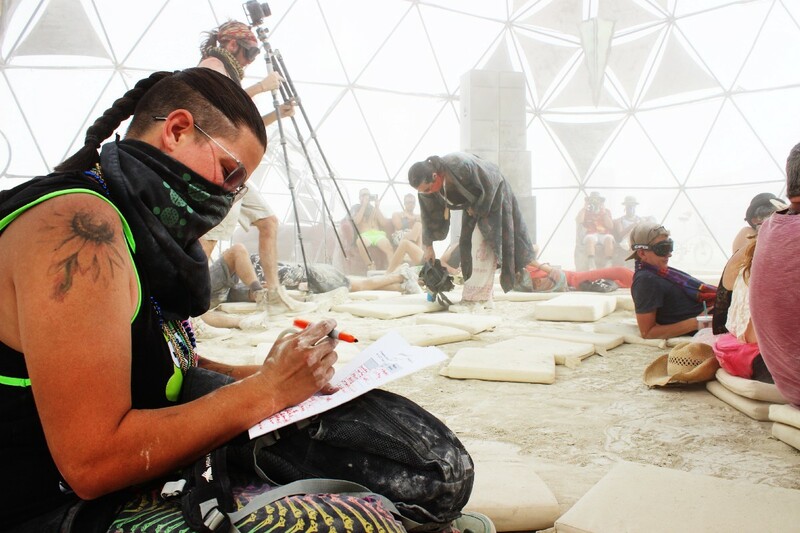 You might not connect with everyone at Burning Man. Sometimes you meet jerks and sometimes you meet new friends. But taking a step outside of your comfort zone is worth the experience. The remedy for your anxiety might take jumping into a dome of giant plush bears or saying hi to the person next to you over a couple of picklebacks. For those two seconds you connect with someone in the desert for a hug or a couple of words, it’s really the weirdest and coolest thing. 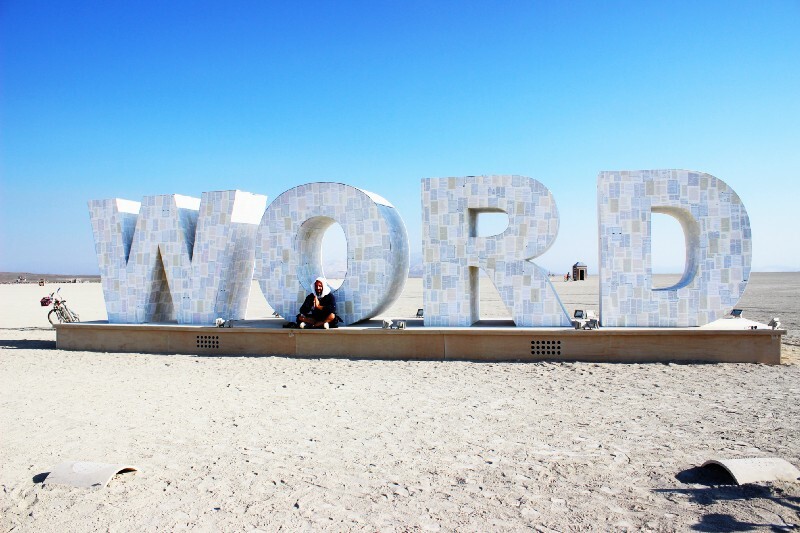 While Burning Man reflects vibrant life, colorful sounds, and celebration, it left my senses overloaded at times. Personal time is needed to get through the week and my favorite place to spend it was at the Temple. 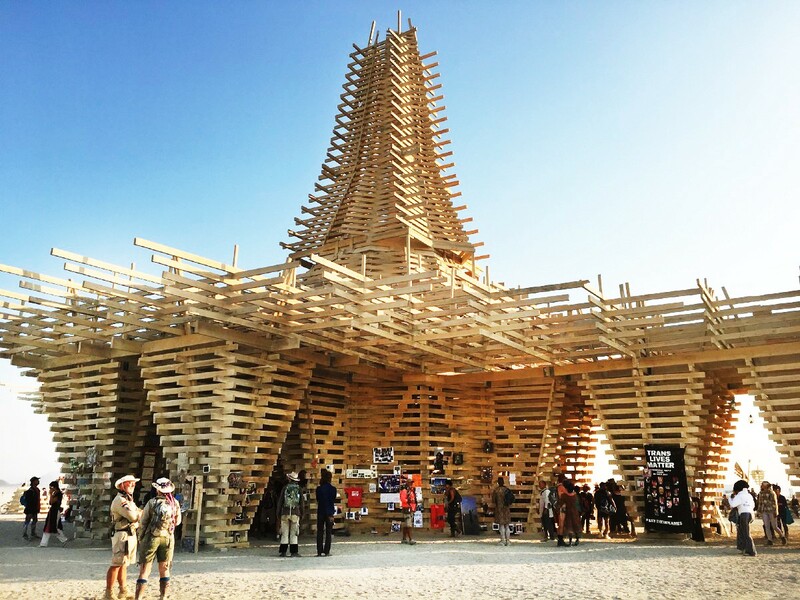 The Temple is a huge structure people can walk through that honor those who have passed away and allows burners to grieve. 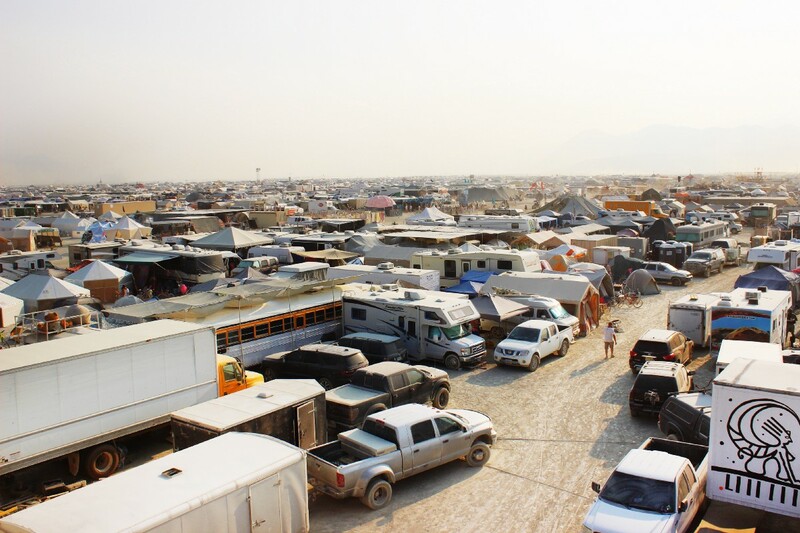 Whether with people or on your own, it’s a place on the playa to feel especially vulnerable. While meditating and people-watching, the moment for myself gave me a chance to breathe and really recognize my thoughts. 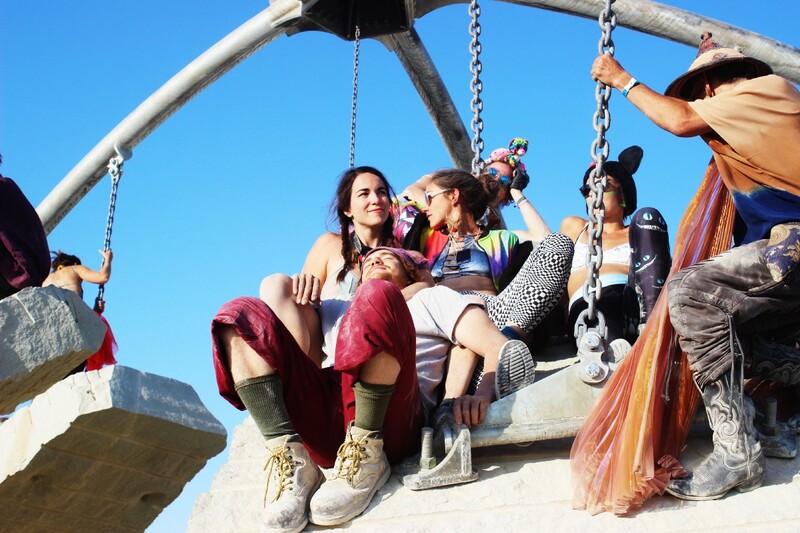 Whether waiting hours to get through the entrance or Exodus,you’ll need patience at Burning Man. Not everything goes your way and a huge part of the experience is the struggles you get through while there. Weirdly everything happens at just the right moment. Examples: A random girl handed me a letter with the right words I needed, I spoke to “God” at a telephone booth and received excellent advice, my friend was in the middle of the desert thirsty and found a drink at the bottom of his bag, and I saw a man retrieve his lost bike right when two random riders rode past him on the last day. Don’t believe me? Let go and see what happens. Say yes to a ride in a hydraulic stagecoach with strangers. Say yes to the runway at Kostume Kult and sashay to excellence. 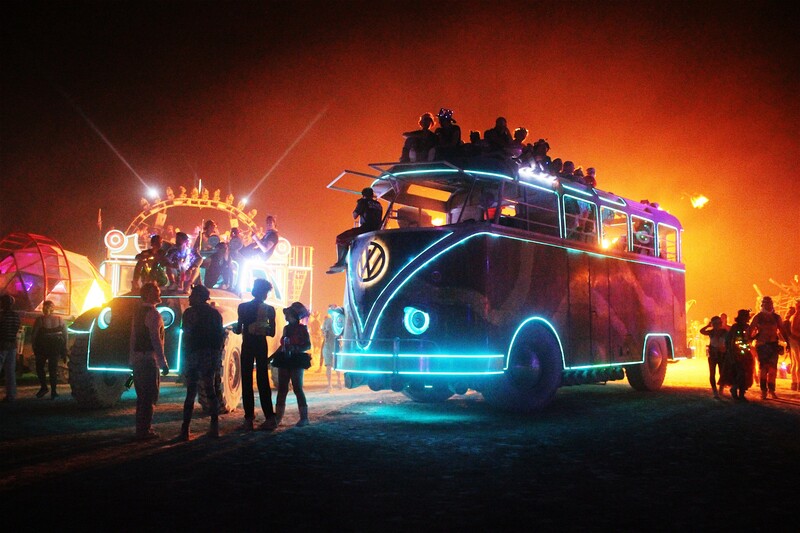 Say yes to Deep Playa at night. 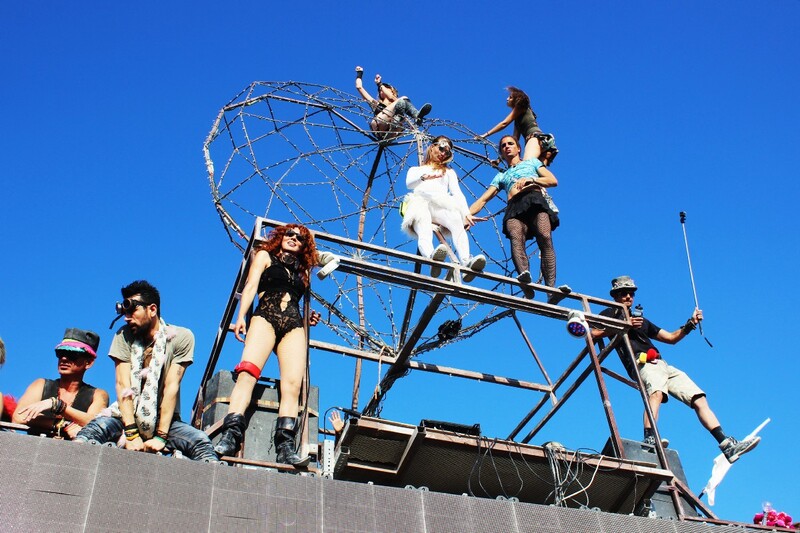 Participate in a Mad Hatter’s Tea Party and dance at a Daft Punk Trash Fence party surrounded by dozens of art cars. 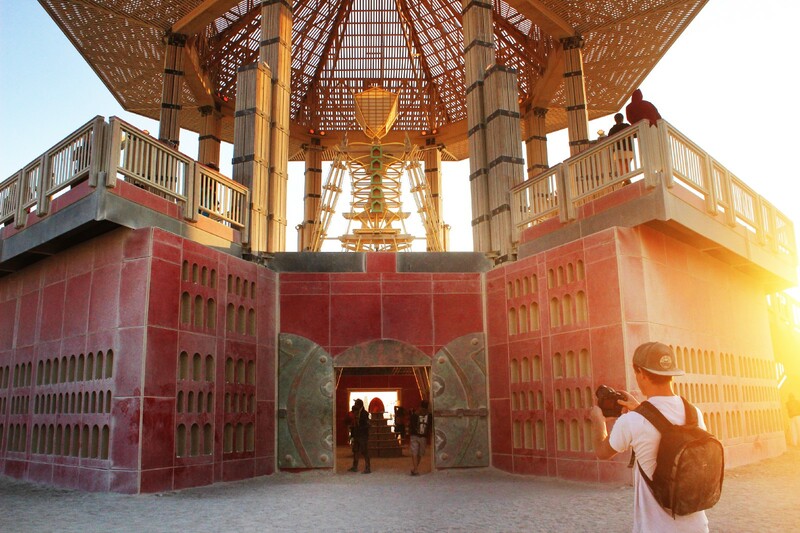 Say yes to grooving in front of the Mayan Warrior and say yes to sunrises at Robo Heart. It all sounds random and impossible, but worth the experience. Whether pitching my tent, cleaning up, fixing food, or getting myself back to camp safely after a dust storm, I had to be self-sufficient. Of course there were people at camp ready and willing to help, but it’s important to try and figure problems out yourself before you play a damsel in distress. Think End of the World– would you want to be the weakest link? The gift economy is real. If you’re not familiar, it’s a culture of exchange where valuables are not traded or sold. Instead, gifts are given without the assumption of future rewards. 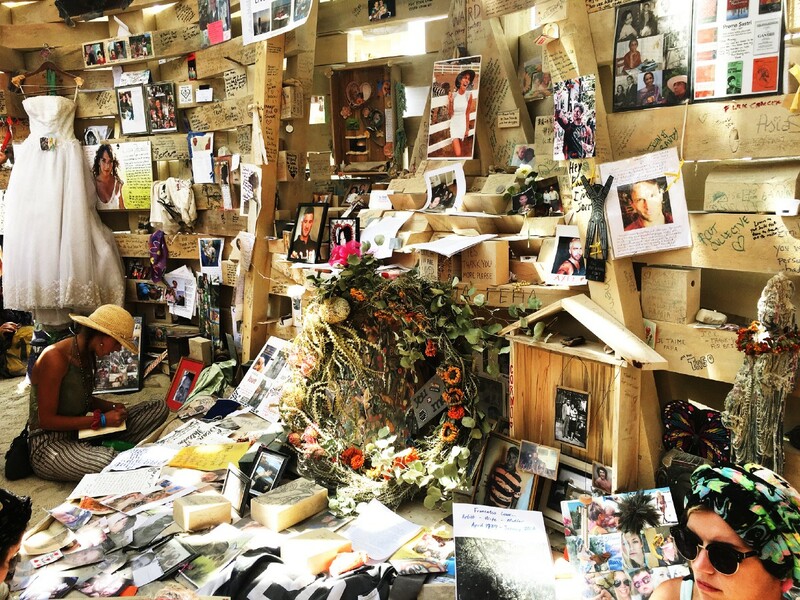 No money is traded at Burning Man other than paying for ice and coffee, if you need it. People are usually skeptical of this at first because, in the real world, many are accustomed to the “what’s in it for you” mentality. But at Burning Man you give and get just for the hell of it. If you have extra food, share it. 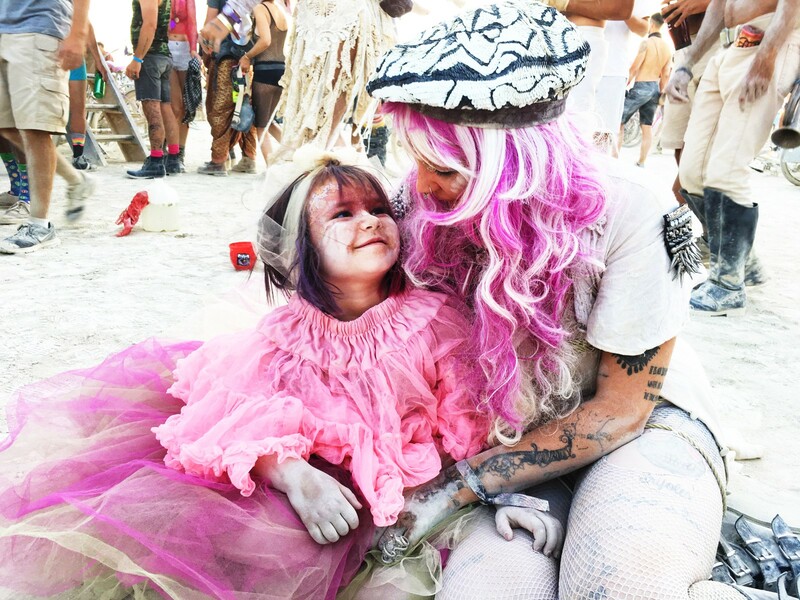 If people need help moving an art car or setting up camp, lend a hand. My first days there involved stepping onto the dusty playa and being offered an ice cream sandwich, grilled cheese, and wicked necklaces. But do not rely on this method, just graciously accept and offer generously. Not many are going to understand your experience and that’s okay. 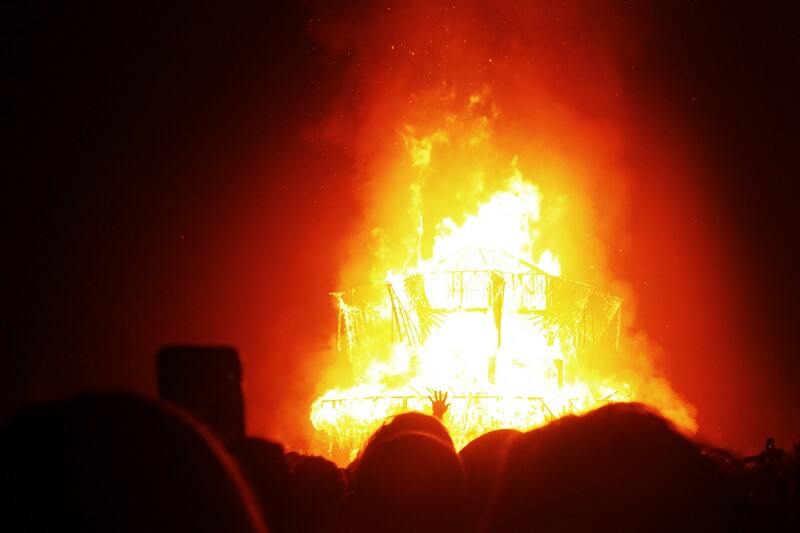 When they ask about the purpose of Burning Man, try to explain how there is no one point. Everyone has a different reason for going. But when people start comparing it to the Coachella’s and EDCs of the world, you’ll know it’s not a festival. It’s so much more.